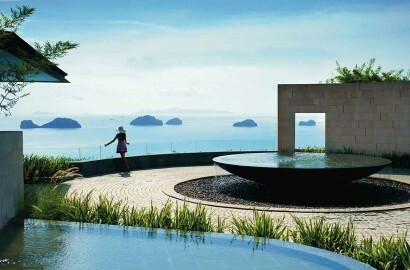 Conrad Koh Samui Resort & Spa, a luxury pool villa resort nestled on the lush, palm fringed coast and located on the south-west scenic hilltop of Thailand’s most desired island, is designed to ensure each villa enjoys glorious panoramic views of the Gulf of Thailand and its astonishing sunsets. Consisting of 81 private pool villas with one, two or three bedrooms, 3 innovative restaurants, 2 lounge and bars, a private wine cellar and award-wining spa, the resort’s 25-acres provides a dramatic setting in which to take in views of the fabled five islands and to enjoy the island getaway, perfect for honeymooners, friends and family alike. 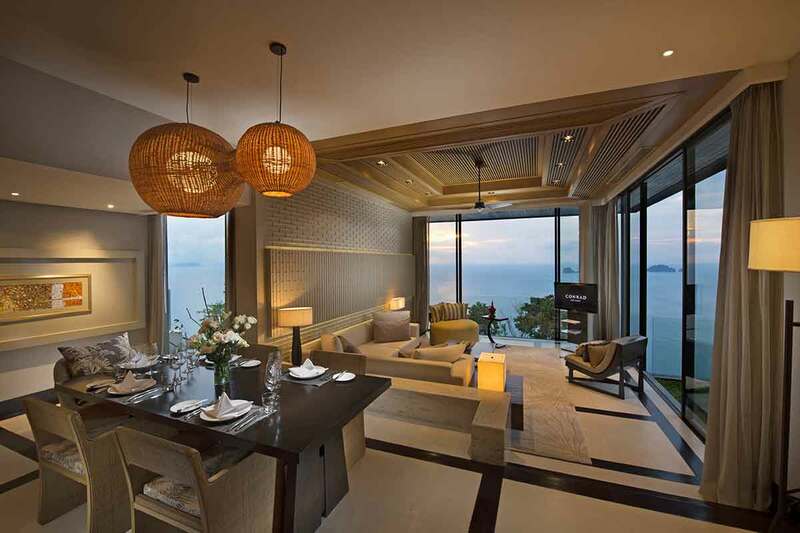 The free-standing villas, all face the ocean offering panoramic views of the sea and outlying islands are decorated in a contemporary Thai style with high-end amenities for ultimate comfort. Combined with Conrad’s distinctive touch of luxury and intuitive service, the resort offers daily complimentary boat excursion to nearby island and beaches. Take state highway no. 4169, drive due S/W of the island to Baan Taling-Ngam. Turn right on state highway no. 4170. Continue on to Keereemas Rd. Follow rd until you reach intersection to Hillcrest Rd on the left. Visit “Hin Ta Hin Yai”, a fascinating rock formations on Koh Samui’s south coast and a source of mirth and wonder on the island. Known as a coconut island, Samui Monkey shows are very unique and can be enjoyed at the open-air theater or the monkey training schools around the island. • Oceanview Pool Villa (standard room), 130sqm of indoor and outdoor space, 10m infinity pool, Personal expresso machine and gourmet mini-bar, Bathroom with oversized bath tub and rain shower, Complimentary internet,WIFI and Apple-based TV system. 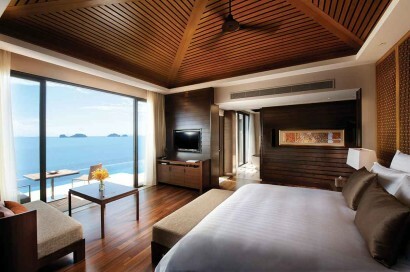 • Waterfront Pool Villas, All standard room features. 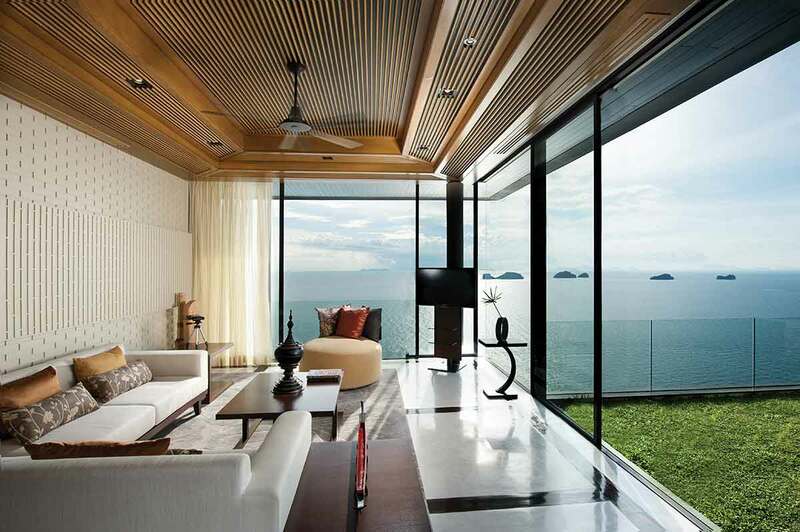 Lowest level on the hillside with the closest position to the ocean and main pool area to enjoy the soothing sounds of the Gulf of Thailand. • Oceanview Retreat Pool villa, All standard room features. 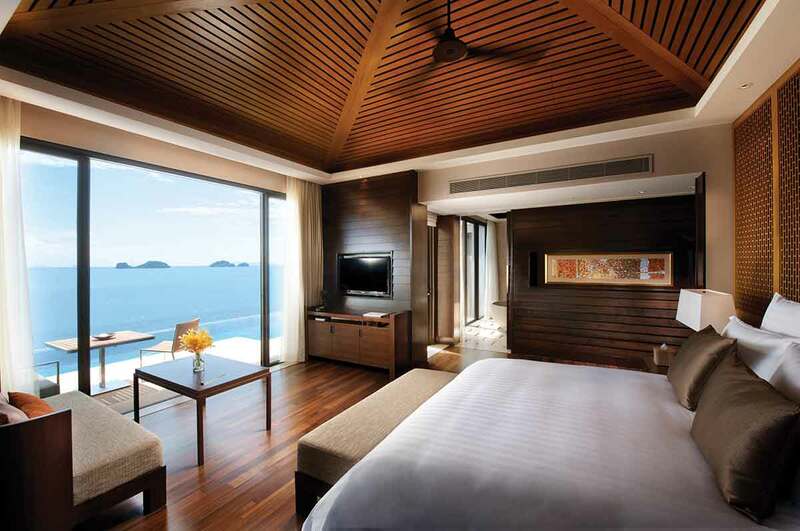 Commanding views of the Gulf of Thailand, Integrated Bose Sound System & Apple iPads, Fine Thai silks and authentic Thai handicrafts. located at the upper level. • Oceanview Three Bedroom Pool Villa, 766sqm of indoor & outdoor space over two levels, Situated at the highest level of the resort, 20m infinity pool, 3 King-size bedrooms, Open-plan living and dining area, Private kitchen, Sun deck & private grass lawn terrace, Butler service and private chef can be arranged on request. 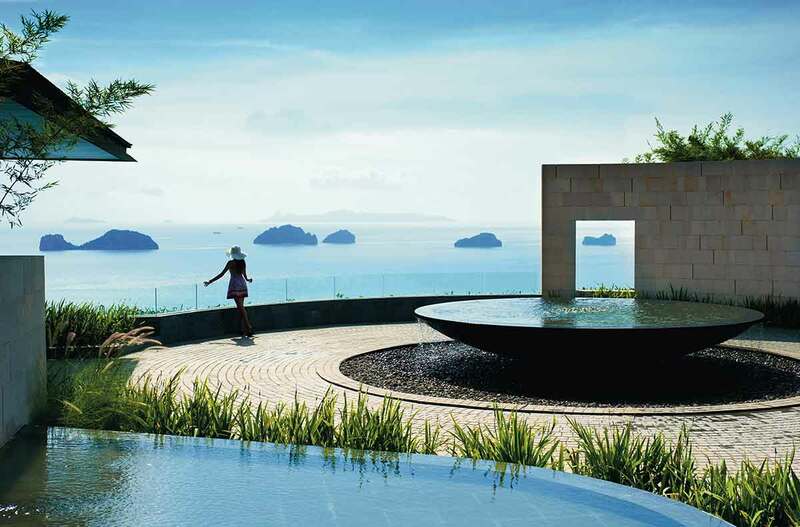 • Conrad Royal Villa is discreetly situated at the edge of the resort, offering absolute privacy and the most incredible views of the Gulf of Thailand. 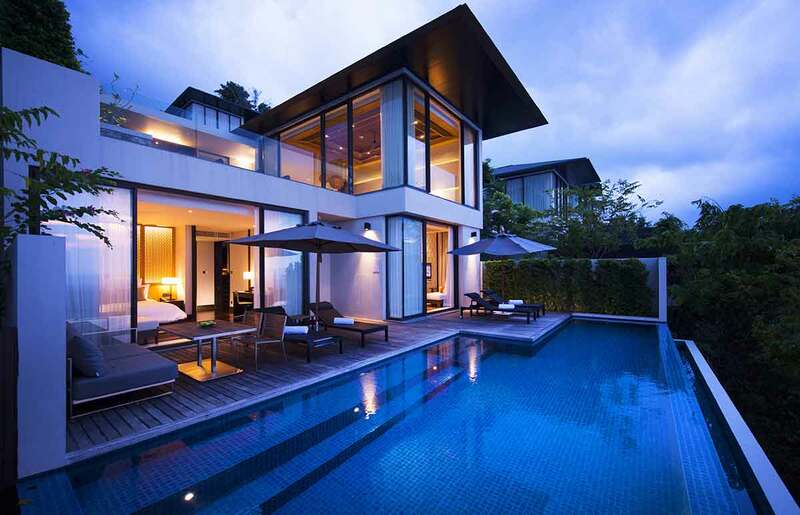 A private stone pathway winds up through landscaped gardens towards this two-storey, Thai style villa. 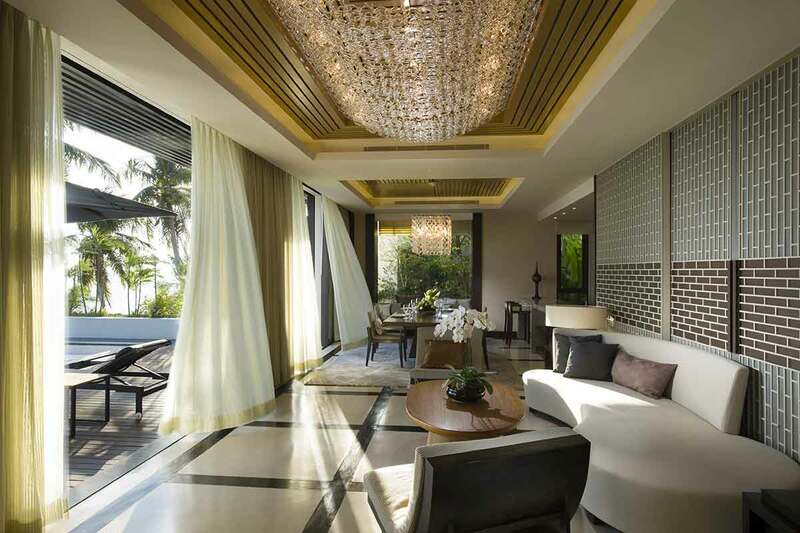 Opening onto a stylish foyer, the villa features a manicured viewing lawn and 22.5 meter infinity-edge pool, which stretches the length of the villa and seemingly into the azure sea and beyond. The expansive living space is complete with designer furniture, including an oversized circular bed facing the spectacular vista of the sea. Soak in the oversized tub or refresh under the soothing rain-drop shower. Enjoy an unforgettable meal with friends at the sunken dinner table. An exclusive destination for memorable culinary experiences and interactive wine sessions. 8 seats. 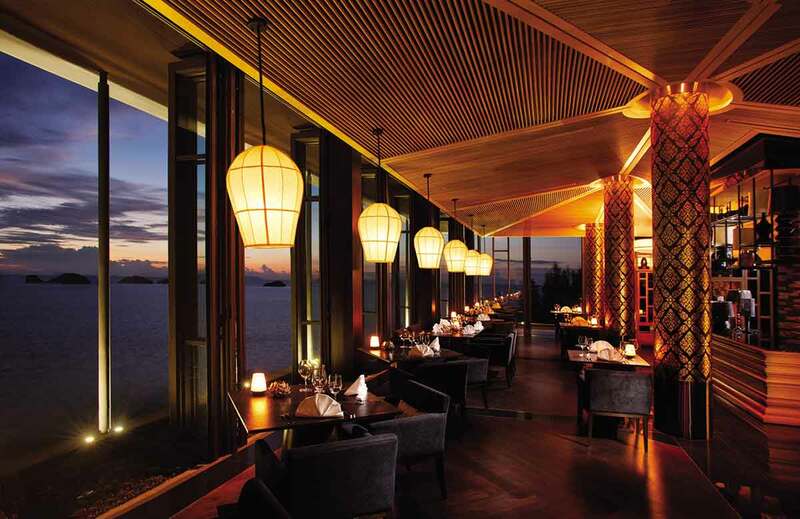 The culinary jewel and award-wining restaurant, dine on the finest contemporary Thai cuisine in this exclusive venue as you overlook the moonlit resort and the breathtaking Gulf of Thailand. 28 seats. Mediterranean specialties and sublime ocean views al fresco. 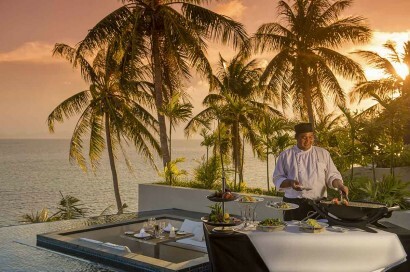 The restaurant’s ‘Food Library’ showcases artistically prepared ingredients that are then incorporated into tempting dishes by our expert chefs. 86 seats. The relaxed/open-air poolside restaurant is perfect for a more casual dining options. 22 seats. 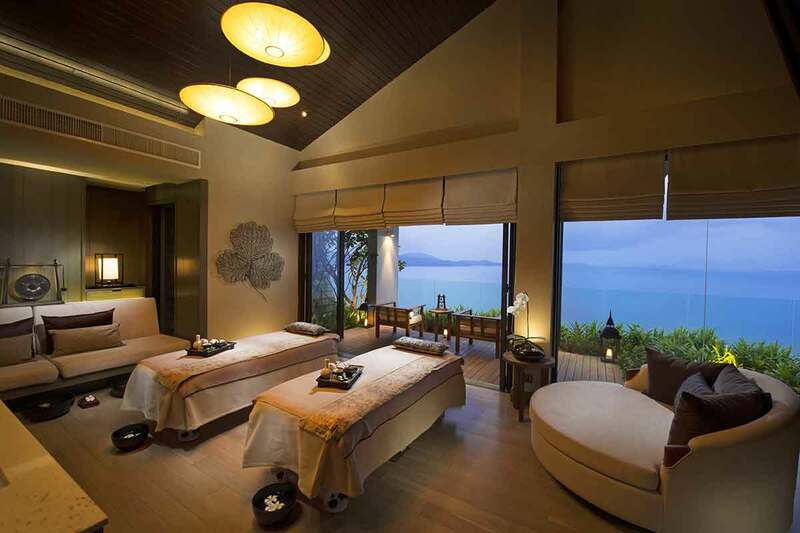 • The Spa at Conrad Koh Samui: Offering an experience of unique quality that focuses on personal attention, sensory engagement, and exceptional results. Each of our treatments unites contemporary luxury with ancient healing traditions to enhance the well-being of your body, mind and soul. • Fitness Centre: Strengthen your body and mind with a cardiovascular workout at the fully equipped fitness center or with a relaxing yoga session on the beachside deck or swim in a private pool at your luxury pool villa. Conrad Koh Samui is an ideal venue for all occasions, from international conferences to intimate meetings and celebrations. Our creative meeting planners can design innovative themed parties, from spectacular gala events to informal celebrations. • Principles and methods of traditional Thai cooking. Lessons include appetizers, soup, main courses, and other Thai classics. 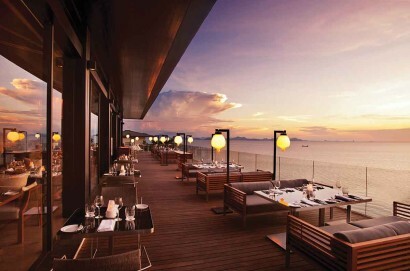 Priced at THB 2,500++/person, inclusive of a glass of power smoothie. Available every day, from 3pm-5 pm. Advance reservation is required. 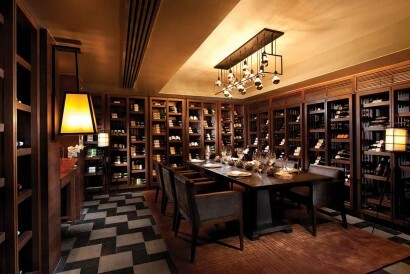 • Wine Appreciation at The Cellar, take a trip around the world of wine with resort’s sommelier. 5.30pm-6.30pm. Advance reservation is required. • Private Boat trip, every Monday, Wednesday & Saturday from 7.45am-5pm. Price from THB 2,200/person.